For hassle-free access to commissary and exchange coupons and other deals that can help you prepare for your shopping trips at Fort Lewis in Tacoma, Washington, sign up for a free account at MyMilitarySavings.com. We understand that it can be difficult for members of the Armed Forces and their families to find the time to look for savings online, so we’ve made it our mission to make that process as easy as possible. Our site includes coupons from a wide variety of sources, as well as helpful links to the Defense Commissary Agency (DeCA) and the Army and Air Force Exchange Service (AAFES), to bring together the best savings possible into a single user-friendly website. 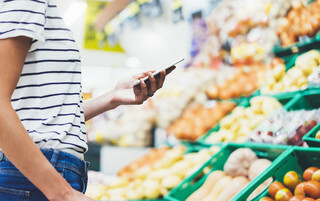 You can also plan ahead for your next commissary or exchange visit with the weekly updates we’ll send you of the Coupon Connexion and Price Connexion, allowing you to see what’s on sale before you even leave your home. And, with the “My Shopping List” tool, you can easily build an electronic shopping list while you look at the latest deals, then print it or bring it with you to the commissary or exchange. If you’re interested in finding out more about the savings we offer for shopping at the commissary and exchange at Fort Lewis in Tacoma, WA, enroll for your free membership at MyMilitarySavings.com today.